Dive into greater community and healthier living at the YMCA of Martha’s Vineyard. 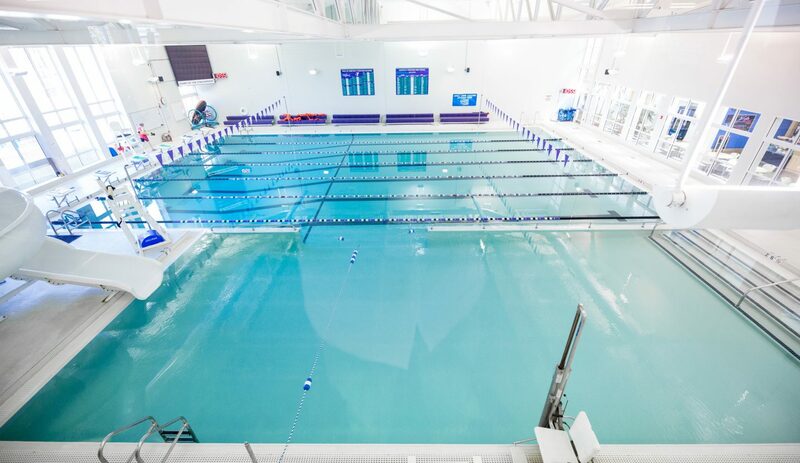 Learn more about how our pool and aquatics facilities can serve you. Each of our lap lanes are 7' wide with a depth of 3'8" in the shallow end and 10' in the deep end. Kick boards and pull buoys are available for use and ladders and stairs provide access to the pool. Dive blocks are for use by the swim & lessons teams only. Play, splash and jump into our separate recreational pool with water slide! The rec pool is easily accessed via stairs, ladder and chair lift. With a depth of 2'8" at the bottom of the stairs and 5' at the bottom on the slide, there is space for everyone to have fun! The Y provides life jackets, pool noodles and toys to play with. Please see our pool schedule and policies for a complete list of what to bring to the pool! With sustainability and comfort in mind we strive to keep the pool as clean as possible. Our state of the art UV light system helps kill bacteria. We keep the water temperature at 83 degrees to accommodate all types of swimmers. Wearing a swim cap and showering before entering the pool ensures the pool stays cleaner for longer. At the YMCA of Martha's Vineyard there is always a certified lifeguard on duty to ensure safety for all. The lap pool opens a half hour after the Y opens and closes a half hour before the Y closes. The number of lanes available for lap swimming varies throughout the day. Recreational Pool hours vary from day to day; please refer to current pool schedule for additional information. For safety reasons, all children under the age of 13 must pass a deep water swim test in order to use the pool without adult supervision. Adult must remain on premises while there children are in the pool. All non-swimmers must be supervised by a responsible adult who is in the water and within arm’s reach of the child. Bathing caps are required for all persons in the pool. You may purchase your own at the Front Desk or borrow one (see a lifeguard).